If your idea of cool hair accessories is the black Goody elastics that never leave your right wrist, we're here to help you expand your horizons. While jewelry may get all the glory when it comes to the shiny bits and bobs we adorn ourselves with, a well-chosen barrette, headband, or hairpin can make even the most basic ponytail look runway-worthy. The best ones you can buy right now are a far cry from the glittery butterfly clips and pink scrunchies you probably wore back in grade school—although, both are seeing a renaissance among the cool teens of Instagram. Instead, you'll find sculptural gold and silver clips by designers like Charlotte Chesnais, velvet hair ties studded with faux pearls, and delicate crystal headbands. Click through the gallery below to shop 18 hair accessories that'll make even the simplest style look impressive. Like a sculpture for your hair. Stick this through a messy bun. A step above your basic black hairband. Not your buy-in-bulk bobby pin. Now these are a pair of scrunchies we can get behind. Wear this stunner of a clip, and you can skip the earrings. Like the grown-up version of those plastic hair bobbles kids wore in the '90s. 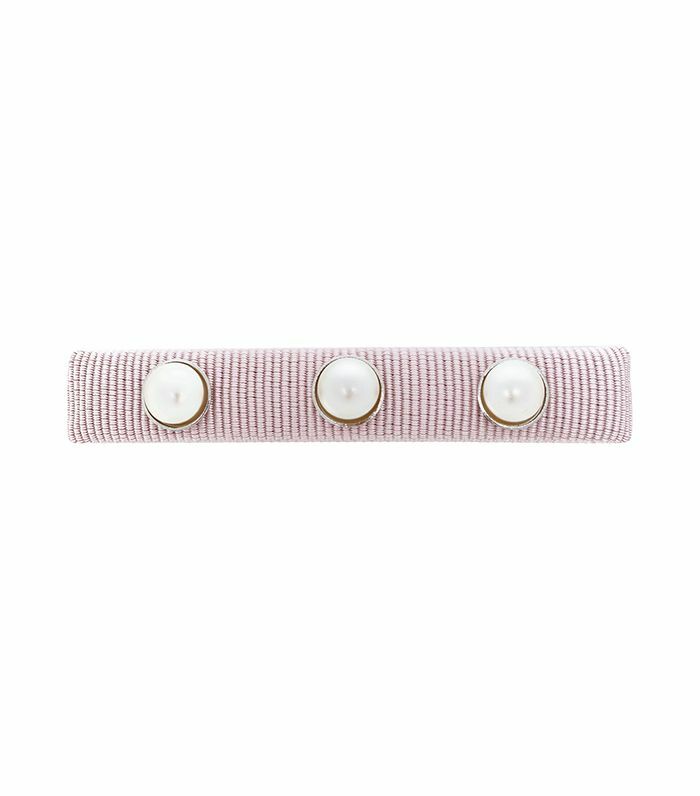 Sparkly headbands don't have to be reserved for special occasions—try this with a T-shirt and a leather mini. Try this with a low pony to show off the lucite bauble. Add a bit of sparkle. Keep this on hand for your holiday parties. Bet you don't have a mink barrette in your collection yet. Up next, here are seven must-watch fashion movies to add to your Netflix queue.